I am in the market for a new planner/ calendar. I currently use a Moleskin daily planner because it allow me to make long to do list , but I wanted to find a more interactive way to keep track of the days. I had stumbled upon Oscar Diaz slow bleeding “Ink Calendar”, which frankly blew my mind. I think that would be a little difficult to execute on a month to month basis but it surely makes the action of time keeping interesting. While exploring the same calendar based design I found The Cube Calander by Philip Stroomberg. 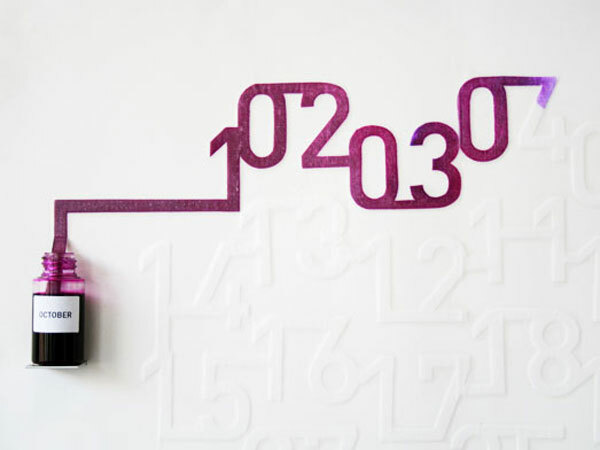 Though this calendar ,like the ink calendar, would have no way of keeping track of due dates or plans, it is an innovative way to display the days of the year. (and a lot easier for me to keep on my desk) It provides inspirational and funny quotes to add flare to an otherwise mundane task . Not to mention it has the interactive aspect of tearing of the dates, which is a very clever take on counting down the days. 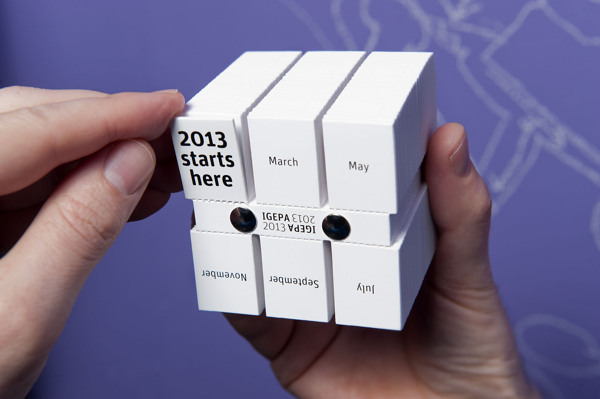 This calendar though relatively small in size has won a big design award , the Silver A’ Design Award , in 2012 -13. Since working on my design entrepreneurship project, I have been extremely interested in innovative product design. I now know how hard it is to come up with a viable idea that will actually sell and on top of that design it well so that it is aesthetically pleasing. This is a product designed and developed by Chris Bringham of Knife and Saw, that is genius. It is a product I didn’t even know I needed until I saw it and now I can’t imagine not having one. It combines sleek and simplistic design with multifaceted function. I think it was probably created to target a specific person similar to my entryway organizer; a younger person living in a small space such as an apartment with limited places to easily store a bike. 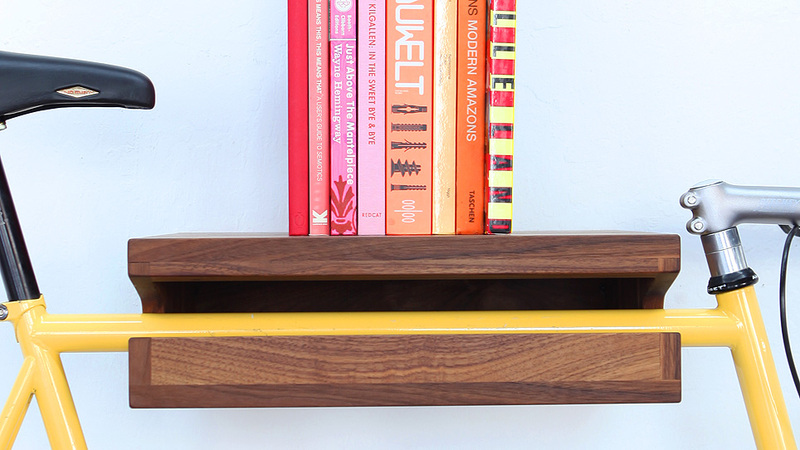 However, despite that niche, I could see numerous people in all walks of life using a shelf such as this. The description given on the website is a perfect example of innovative design “While visiting many friends’ small apartments, I noticed that there was a void when it came to elegant bike management. I wanted to create a piece that kept bikes off the floor but didn’t look like it belonged in the garage. 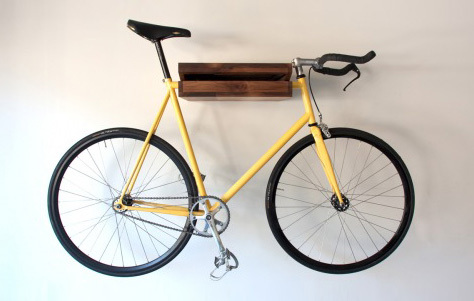 With that, The Bike Shelf was born”. This is exactly what we are learning to do with in the realms of our design entrepreneurship, find a problem and create a marketable solution.